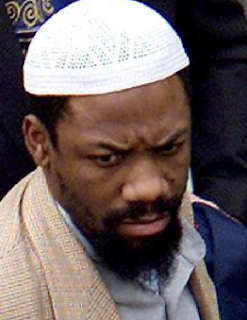 Sheik Abdullah al-Faisal, the man who radicalized the individuals responsible for the 7/7 bombings in London and a known MI6 asset, first made his way to Botswana after being deported from the United Kingdom upon serving a light, four-year sentence. Deported from Africa, he made his way back to his native Jamaica, where he now dedicates himself to preaching hate on a nearly daily basis. In his recordings, Sheik al-Faisal encourages people to martyr themselves for the Islamic State, and tells them to go to the lands of the so-called Caliphate in order to wage war against the infidels. As Abreu Report previously reported, Sheik al-Faisal posed grave concerns to the US State Department, and a secret cable sent from the US Embassy in Kingston details the danger that the Sheik poses to the entire Caribbean region. Although the United States killed Anwar al-Awlaki, a US citizen, and his US-born 16-year-old son in targeted drone attacks, Sheik al-Faisal continues spewing vitriol that would have long ago led to his assassination were it not evident that he has the backing of MI6, the UK's intelligence agency. During Sheik al-Faisal's time in Africa, there were plenty of reasons for Obama's National Security Council to place him on the Disposition Matrix, but this was never done due to the fact that the Sheik is directly working to further UK foreign policy, as was the case with the 7/7 bombings being used to justify strengthening the national-security-espionage state and to drum up support for British military operations abroad. It could perhaps be a coincidence that the Sheik returned to the Caribbean just as a territorial dispute began brewing between the United Kingdom and the Dominican Republic -- with the UK alleging that the Dominican Republic was not an archipelago and that its Exclusive Economic Zone thus infringed on the waters of Turks & Caicos, a UK colony -- but the evidence points to Sheik al-Faisal working directly to stifle a potential settlement, and of his arrival not being coincidental. The Islamic State has recently begun releasing nasheeds in French, and its effects are already being felt in Francophone Haiti. After the 2010 earthquake which devastated Haiti, numerous Christian missionaries made their way to the island, but they did not come alone: Islamic organizations also came to render aid, and Haiti's Muslim population has grown continuously since the devastating natural disaster destroyed nearly all of the country's infrastructure, growing to nearly 10,000. It seems that no one is willing to stop Sheik el-Faisal from recruiting and preaching hate, and his base of support is growing. 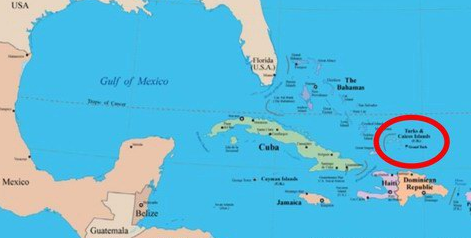 We may learn, not too shockingly, that a suspicious explosion leaves the Dominican Republic looking for UK military support against a manufactured enemy, thus forcing the country to abandon its territorial claims against Turks & Caicos.